FOOD SAFETY: All our products are processed under strict quality controls to guarantee food safety. COMPETITIVITY: We work day by day to offer a quality product at competitive prices. 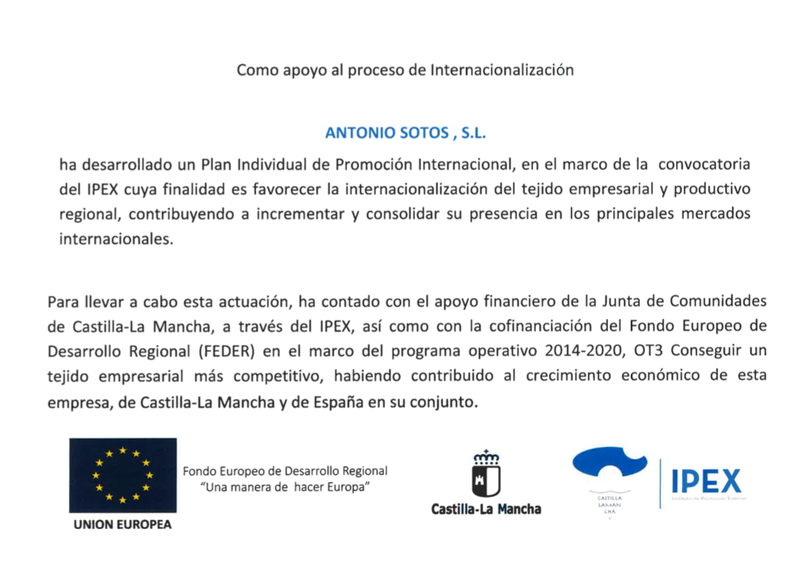 INTERNATIONAL GUARANTY: Antonio Sotos is a symbol for quality and international guaranty, our products are distributed in more than 30 countries. PERSONALIZED ATTENTION: We are always there for you whenever you need us.